Hola, Big Apple. In Spring 2019, Chef José Andrés will bring Mercado Little Spain to New York’s Hudson Yards – an all-day destination for the very best of Spanish food, drinks, and culture, created in collaboration with fellow Spaniards and amigos Ferran and Albert Adrià. <br><br>Apply now or come interview with us WALK-IN INTERVIEWS WELCOME! 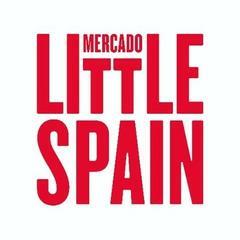 !<br><br>10 Hudson Yards, New York, NY 10001<br><br>Mercado Little Spain is looking for FOOD RUNNERS to join our team as we continue our quest to Change the World Through the Power of Food! We are looking for NYC's most talented and passionate hospitality professionals to help us bring Spain to the America.<br><br>What we would like from you: <br><br>Seamlessly work with an energetic and positive kitchen and front of house team in providing exceptional and timely service, which exceeds our guest’s expectations. <br>A passion for continuous learning and discovery by embracing an active and innovative approach to expanding your knowledge of food and beverage. <br><br>What you can expect from us:<br><br>• Competitive Pay with industry leading benefits <br>• Access to Medical, Dental, Vision, 401k, and even insurance for your pets<br>• 50% off food at any of our restaurants<br>• Flexible Schedules<br>• Fun, Dynamic, Innovative atmosphere <br>• Education Assistance/Tuition Reimbursement <br>• Career Advancement opportunities<br><br>Who we are:<br><br>ThinkFoodGroup restaurants span across America including Miami, LA, Las Vegas, Puerto Rico and of course Washington, DC. Since 1993, our restaurants reflect the authentic roots of each concept, and showcase José's passion for telling the stories of a culture through food. Apply now and join JOSÉ ANDRÉS and his industry leading ThinkFoodGroup Team. <br><br><br><br>ThinkFoodGroup is an Equal Opportunity Employer and participates in the federal government E-Verify Program. Mercado - Little Spain is posting their hospitality jobs on Harri.